We’ve joined forces with Opera Software to understand how women in Africa use mobile internet. Two studies undertaken by Opera Software and Worldreader have found that women in Africa use mobile internet to empower and entertain themselves. 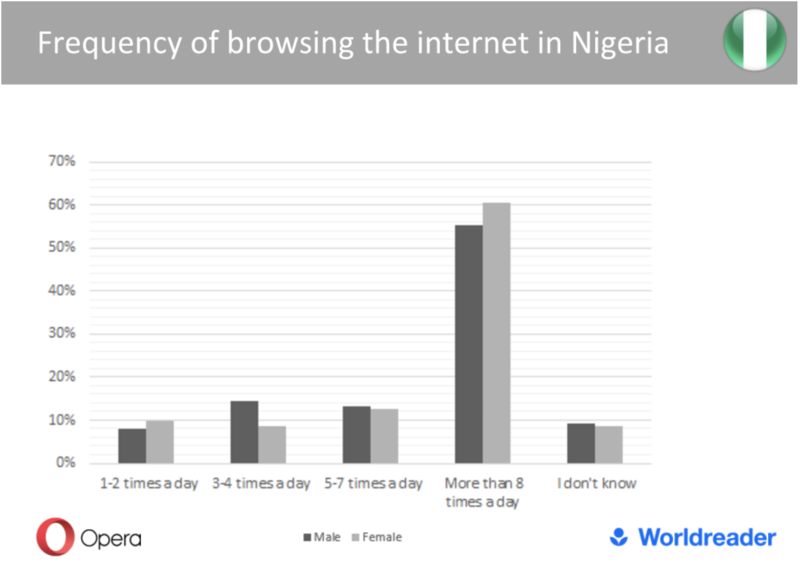 Opera Software ran a survey of 1,500 women and men aged 14 to 44 in Nigeria, Kenya, and South Africa to learn more about their web browsing habits on their mobile phones. The poll results were later combined with our insights on the mobile reading habits of 50,000 Worldreader app users in the three countries above. The combined study revealed that women in these three African countries are as tech savvy as men when it comes to browsing the internet using their mobile phones. Women are using their browsers as often as men, with the majority of female survey respondents in Kenya and Nigeria (60%) stating that they access their mobile browsers more than eight times a day to do various internet activities. Moreover, women tend to purchase bigger data packages than men. 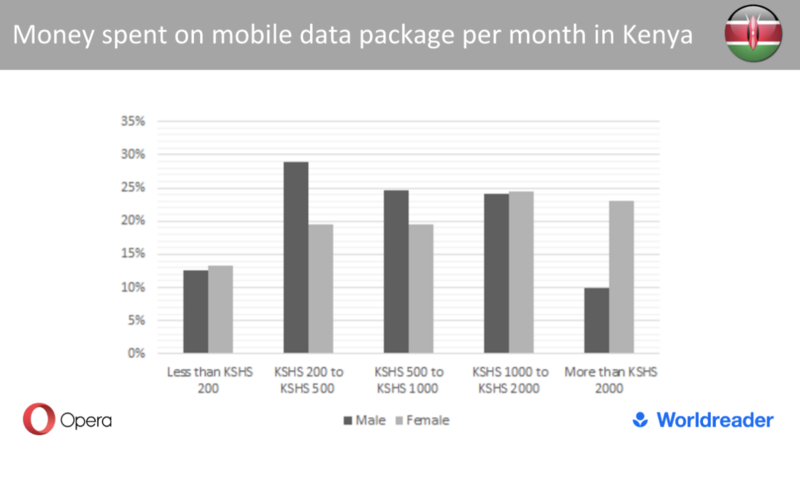 Nearly half of female respondents in Kenya said that they spend over KSHS 1,000 (9.62 USD) to buy mobile data plan while only a third of the male respondents are doing so. Similarly, in Nigeria, around 70% of women who partook in the survey stated that they spend over NGN 1,000 (2.74 USD) to buy a mobile data plan in comparison to 60% of men paying the same amount. Women also lead when it comes to buying big data packages with five times more women buying data 10GB data bundles in Kenya than men. 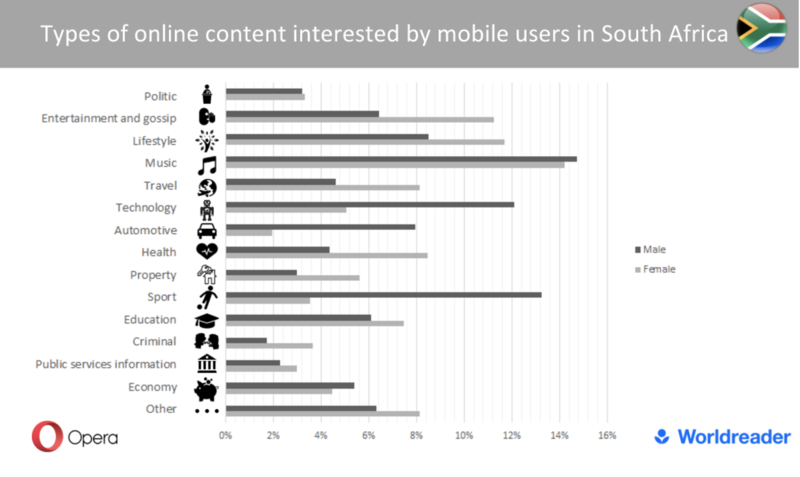 Both, the Opera Software surveys and our usage data show that women in Nigeria, Kenya, and South Africa engage with the wider variety of content available on the internet than men. Female respondents to the Opera survey on average showed a higher percentage of interest for nine out 15 topics. Similarly, we observed that women are on average accessing more e-books than men using their e-book reading platform. Not only that, our female users are reading three times as many pages on average as their male counterparts. Women in three African countries are predominately browsing the internet to relax and entertain themselves. By browsing lifestyle, music and entertainment content on Opera and by reading romance, thrillers and other fiction e-books on Worldreader (in some cases up to 10 times as many as men), women in Nigeria, Kenya, and South Africa are embracing the Internet as a tool for entertainment. 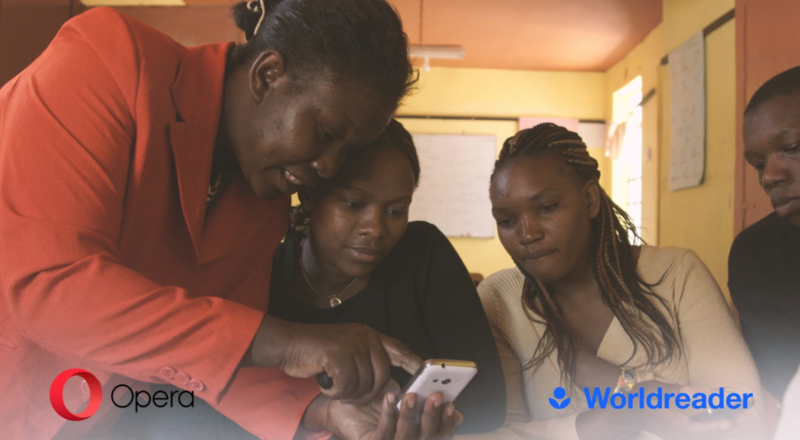 Margaret uses the Worldreader library through Opera Mini to educate herself. Empowerment is another major motivator for women using their mobile phones to access the internet. According to Opera, women are more engaged than men with content that can improve their lives, including content related to education, economy, property rights, public services, and health. In all three countries a higher percentage of women than emphasized the need for having access to news via their mobile browser. Similarly, our research shows that women between 26 and 44 years of age are particularly interested in reading e-books from the Inspiration, Career Development and Children’s sections of the Worldreader library. The full survey result can be downloaded here. Support Worldreader with each purchase by signing up with Amazon Smile. Your donation is being processed. Please wait. This may take a moment.